"Cabinets - Reface" Services has been our specialty. "Cabinets - Reface" Services Done Right! 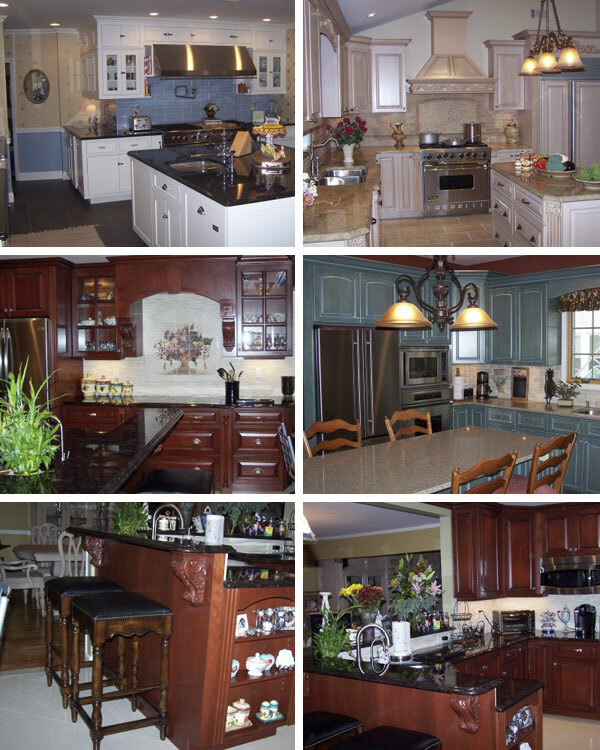 Custom Kitchenz By Ron, Inc. is a family owned company providing Cabinets - Reface services for homeowners and commercial property settings including shopping centers and distribution centers. Custom Kitchenz By Ron, Inc. offers quality Cabinets - Reface service at the best possible price. For all of your Cabinets - Reface needs, give us a call at 516-764-3311. Quality at the best possible price is the cornerstone of Custom Kitchenz By Ron, Inc.. Custom Kitchenz By Ron, Inc. provides attention to finishing the Cabinets - Reface project with a complete high end finish. We have a dedicated staff to assist with your Cabinets - Reface needs. Let Custom Kitchenz By Ron, Inc. direct, organize, plan and manage your Cabinets - Reface project. Call us today for an estimate at 516-764-3311. Get started on your "Cabinets - Reface" Services Experience! Nowadays there are other options instead of installing new cabinets in your kitchen and your bath. Cabinet refacing has become a popular option that not only saves money, but saves the mess and the time. By considering cabinet refacing it will give you the professional look you are looking for. With professional cabinet refacing the main cabinet box is left in tack and the outside face of the cabinets are removed and replaced with a brand new face. Thank you for visiting our Cabinets - Reface website. Please contact us with any questions or comments about our Cabinets - Reface products or services. We would love to solve your Cabinets - Reface needs and provide you a Service unlike any other company could.